New report details haredi parties' requirements for approving Draft Law. The Knesset's haredi parties are expected to present their demands for changes to the proposed Draft Law within the coming few weeks. Israel's Knesset has until December to approve a new Draft Law. The current bill passed its first reading in July, but has not advanced since then due to opposition by the haredi parties. 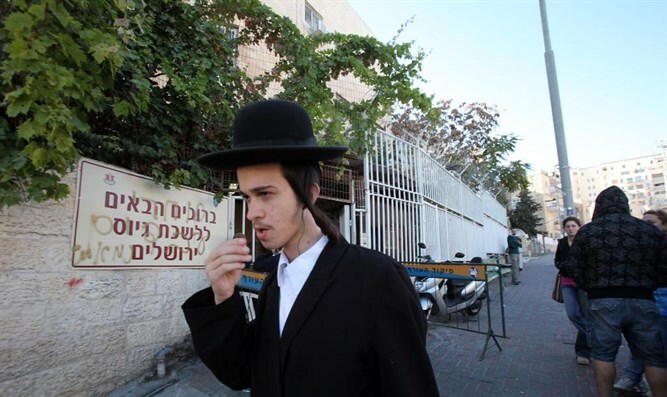 The haredi parties are expected to demand three main things: The first demand will be a reduction in the fines for yeshivas who do not meet the recruitment requirements. Currently, yeshivas must reach at least 85% of the recruitment goal in order to avoid fines. The parties' second demand is expected to be that the government lower the number of draftees required to avoid fines. Their third demand will be to raise the number of consecutive years yeshivas can fail to meet the recruitment requirements before the Draft Law is canceled and replaced with a harsher law.